There are 2 cat videos tagged with lazy. Ever have one of those days where you just want to sit and bed and hope that someone brings everything for you, then you force yourself to go do it yourself in the quickest and unenthusiastic way possible? 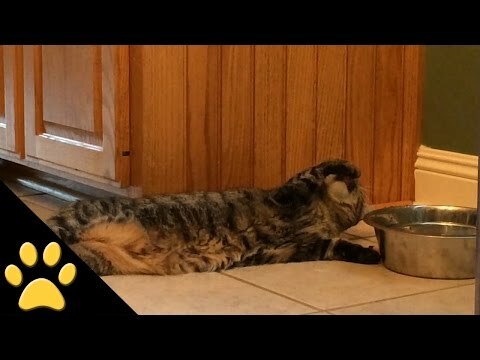 When it comes to figuring out how to rest and get a drink all at once, this cat has the right idea. I’m sure this cat’s imagining himself reclined on a sofa as a roman emperor, dressed in a lavishly woven toga, and joined by his slew of loyal servants who bring him tuna fish and a saucer of milk and, to add, his every whim. But for now, he’ll just have to settle and get creative.